The LG 65UK6500AUA is a reasonably-priced 4K TV that’s designed to impress your visual senses without destroying your finances. The 65-inch variant of this model costs less than a grand is considered a steal as far as 4K UHD HDR TV sets go in the market today. Let’s see what Consumer Reports has to say about the LG 65UK6500AUA and its features. The LG 65UK6500AUA’s aesthetic fits right into the brand’s modern portfolio composed of a metal frame with thin bezels. The TV is massive horizontally and vertically, but it only eats up less than 11 inches of depth on a flat surface. 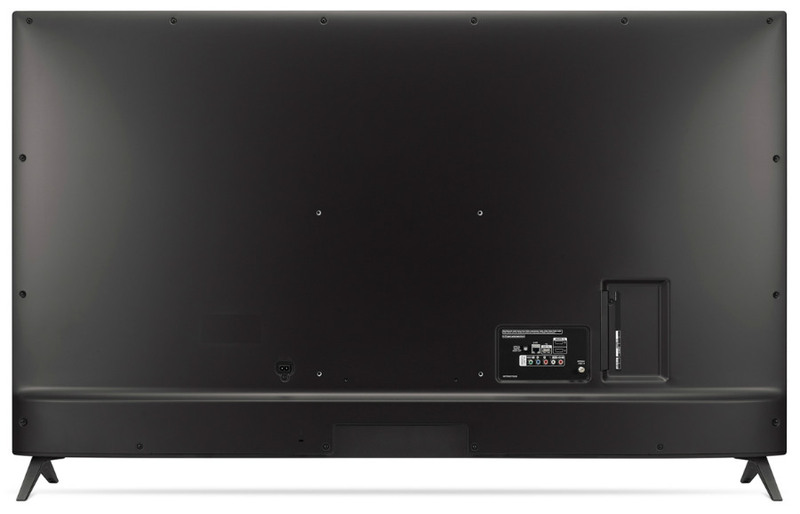 The display doesn’t tilt, but you can opt for a VESA wall mount with a 300 x 300 bolt pattern for more flexibility. LG’s latest TVs have become thinner each generation, and the LG 65UK6500AUA is no exception. The rear of the chassis is flattened out so it would be easy to flush mount, but the rear-firing ports will be a problem if your cable leads aren’t bent at an angle. But what’s good about it is its placed close to the side of the TV so you can easily access it without flipping the device over. The ports include four HDMI 2.0 slots with one having ARC functionality. There are several audio inputs available, including optical out which is preferred for high-end audio setups. You can also connect the LG 65UK6500AUA to the internet or install USB accessories, but the former isn’t necessary since this model has WiFi and Bluetooth connectivity. The box includes a quick start guide, a detached power cable, and a basic remote control with batteries. Take note that you have to purchase LG’s Smart Remote to use its AI ThinQ functionality that is powered by an upgraded quad-core processor. The startup is easy since the TV activates a setup guide upon turning it on, plus you can access the user manual in the OSD for future needs. The LG 65UK6500AUA is a very capable entry-level 4K UHD Smart TV from the brand which provides excellent image quality in both HD and UHD formats. Images from 1920 x 1080 content can still appear detailed and sharp thanks to the TV’s Edge Enhancement Processing. 4K Image is just perfect, but upscaling 1080p content to it will reveal a few jagged edges since the conversion system isn’t powerful enough. But on the other hand, 4K native videos and images from Blurays or streaming services presented no issues. 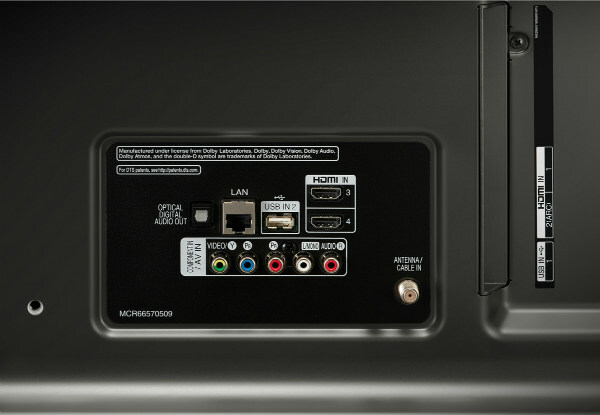 4K details are shown with excellent fidelity and little to no compromise via the HDMI inputs of this model. The LG 65UK6500AUA has a 65-inch IPS panel which means it has fantastic viewing angles. This model is ideal for large living rooms with expansive sofas or seating since those sitting on the side will not notice any issues or changes in image quality. The panel looks slightly dimmer when viewed from the far sides. But sitting below the screen and looking upward is much worse in this regard. Color accuracy for the LG 65UK6500AUA is excellent since the IPS panel is able to reproduce the sRGB gamut perfectly with some extensions. Color temperature is a bit warmer than most, adding a slight blush to white or lighter shades in some instances. Contrast is decent enough thanks to LG’s edge LEDs with local dimming, but Consumer Reports recommends adjusting the brightness for both day and night viewing. The LG 65UK6500AUA is also an HDR-compatible model, supporting both HDR10 and HLG formats for an improved visual experience. However, this model isn’t equipped with a powerful backlight that has a peak brightness that can maximize the effects of HDR. Using the mode will enhance the range of shadow details, but the screen’s colors and bright spots look the same. The combination of a 4K resolution in a large screen with HDR is great for gaming on consoles like the Xbox One X and PS4 Pro. The LG 65UK6500AUA’s motion handling is decent enough to produce enjoyable images without ghosting, but fast-paced titles like Call of Duty will reveal some trailing and blurring. This model doesn’t include an overdrive or blur reduction feature in the OSD to solve this limitation. The LG 65UK6500AUA also advertises a 120Hz refresh rate, but it’s IPS panel only has a native refresh of 60Hz. The 120Hz this model describes is actually a black-frame insertion feature which helps users to perceive a faster screen. However, it’s only advisable to use BFI if image quality is less of a concern over the smoothness of transitions. The LG 65UK6500AUA is a smart TV so it comes equipped with the brand’s WebOS portal which gives access to built-in applications such as Netflix or a web browser. Most of the services used for streaming are already included, but what stands out is its AIThinQ technology which enables Google Assistant compatibility and Amazon Alexa Support. However, the latter isn’t readily accessible unless you buy LG’s smart remote separately. This model also includes a pair of 20-Watt speakers with DTS-HD decoding and Ultra Surround simulation. The bass is deep enough for games and movies, while the treble provided excellent details. Consumer Reports also mentioned that the sound felt a bit “boxed in” and has limited peaks in loudness, so a soundbar might be more ideal for some. You can also use the speakers for music from your phone or tablet since the LG 65UK6500AUA has a built-in Bluetooth and Wi-Fi feature. This is particularly useful for homeowners who already have wireless devices since it helps with lessening cable clutter. Consumer Reports rates the LG 65UK6500AUA with a 6/10 Predicted reliability and 9/10 owner satisfaction score based on the group’s 2018 survey of 97.544 TVs. The scores aren’t subjective since they are derived from a proprietary statistical model that helps to calculate problem rates and customer complaints within the first 5 years of owning the TV. The LG 65UK6500AUA and the brand’s satisfaction score is high because it’s a great product that doesn’t cost an arm and a leg. 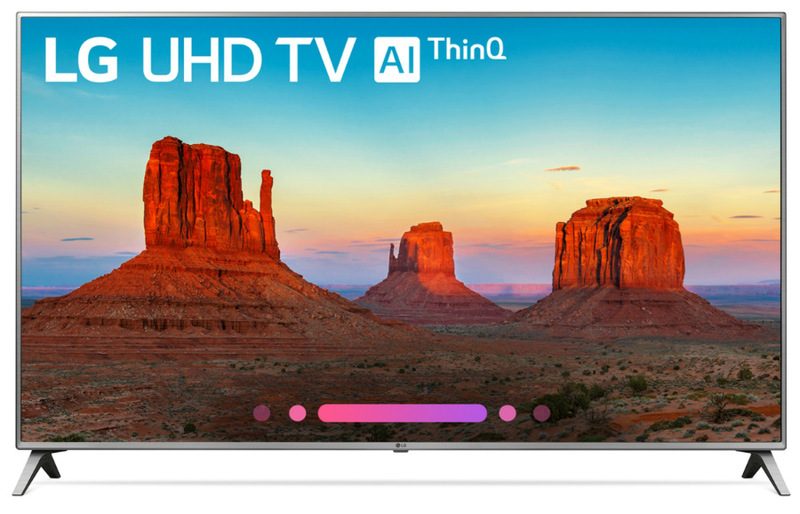 Owning a large 4K TV with HDR features has never been this cheap. Based on these test results and commentaries from Consumer Reports, we can say that this model is a great buy for your home or loved ones.